I was a weeping, snotty, emotional mess on Friday when the Supreme Court's ruling was announced. It was a day -- like so many of those I know and love -- never dreamed would happen in our lifetimes. The ruling was an exclamation point to all that I've written about for so many years in my books and essays, and to my life -- our lives -- in general. On Friday, when a friend texted us the news, I ran down from my writing studio, weeping, uncontrollably, yelling for Gary. I grabbed him and held him, and we moved as one heap toward the TV to turn on the breaking news. I couldn't comprehend it at first. Had I hoped this would happen? Yes. Did I feel it would happen? Yes? But did it seem real? After all these years? No. We fell as a ball onto the couch, and I grabbed Gary's face. "I don't know what to do when you cry like this?" Gary said. See, I'm supposed to be the strong one, the logical one. But he's really the rock. I stared at him, seeing our 20 years together flash before my eyes, our lives now defined as Before 6/26 and Post 6/26. How manny battles had we waged to get to this point? "Stop crying," Gary begged. "Please." I wept for the many friends who didn't make it to see this day, too many of whom took their own lives because they had been rejected. I thought of my mom, the strongest person of faith I've ever known, who told me how proud she was of me and Gary every day, and how -- before she died -- said my faith shined through in every way and every day since I had "come into love and the light." Yes, this is about love, but it's also about equality. Next year, Gary and I will celebrate our 20th anniversary. 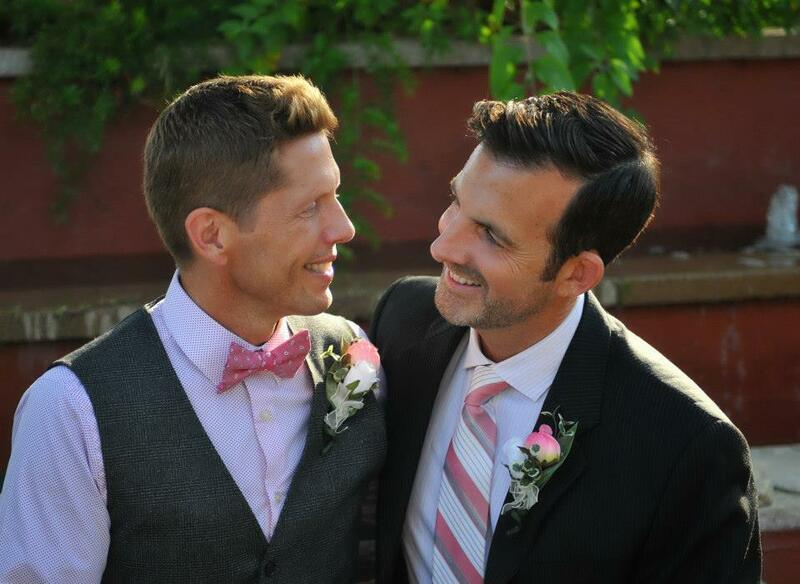 We were married one year ago in California. And we will renew our vows in Michigan. For years, we paid separate taxes. For years, we paid tremendous legal bills to ensure that we were each other's "family" and "guardian." What would happen, an attorney asked us years back when I was traveling on book tours, should you be injured and hospitalized? Gary likely would not be allowed to visit. Equal? How is this right? We fought. For years. No, our whole lives. We were bullied. We were taunted. We were rejected. Sometimes in terms of ignorance, often in terms of faith. I no longer care what people think, because they do not speak for me, or know me. I knew from the earliest of ages I was born gay. I hurt and lied to more people than I can ever apologize to in my attempt to be "normal". Gary and I both attempted suicide. The importance of Friday's ruling cannot be overstated. Now, no child will be born without knowing that he or she has equal rights, can grow to marry who they love and choose, without being isolated, hated, scared. Will discrimination still occur? Of course. Will hatred still rear its head? Yes. I have heard rumblings of all the hate chatter after the ruling, but it's on my periphery, buzzing as softly as a mosquito in my ear. I no longer pay attention to what people say or think if they are not willing to talk, change, learn, grow, evolve. I have been ostracized too many years from life, from faith. How would you feel if you had to hide who you are, or who you loved? How would you feel if you couldn't hold hands, or sit too close to someone at a restaurant, or invite them to a work function, or put his or her picture on your desk? Much less live through the dark years of state laws being passed "defining" what a "real" marriage is? Would you have survived? My LGBT brothers and sisters are among the strongest people I know. When you are beaten down, and are still able to succeed, find happiness, thrive in careers, believe in God, find love, then you are heroic. You know true faith. You know true happiness. So, talk all you want. I've heard it before. I am not to be tolerated, like a rainy day, or a cold sore. I am to be celebrated. We all are, gay or straight, black or white, married or single. We are all survivors. We are all one. We are all more alike than different. And together we can change the world. And we have. And we will. One day, one word, at a time.